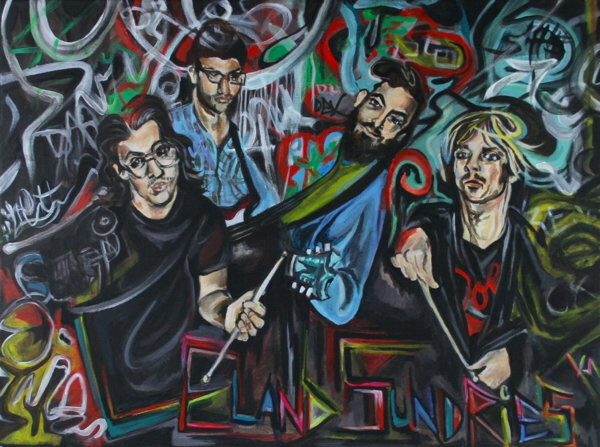 If It's Too Loud...: Leland Sundries - "Dreamed About El Paso"
Leland Sundries (led by Nick Loss-Eaton formerly of New York City but recently relocated to Memphis) have just released a new single off their upcoming EP. In the spirit of last October's single "If You're Gonna Drive, I'm Gonna Drink," "Dreamed About El Paso" is another exploration into more of a country sound than their usual garage rock (although their more rock material is still quite country inspired). It's about as country as you'd expect a song called "Dreamed About El Paso" would be, but in a more alt-country way than whatever your co-workers consider country these days. It's a fun rock based country song, and as much as I love Leland Sundries's more rock stuff, this dalliance into country is a fun detour. You can listen to "Dreamed About El Paso" below. It will be off Leland Sundries upcoming to be announced EP. The band is promising some more "garage-y stuff" in the future if you prefer that. For more on Leland Sundries, check out their website.